Happy Monday! I’m back for our Virtual Book Club for Kids and this week’s theme is farm activities! We’re reading Click, Clack, Moo, Cows that Type by Doreen Cronin. This week the Virtual Book Club co-hosts are sharing fun farm themed activities to go along with the story. Be sure to scroll down after reading this post for more activities based on this week’s theme! This week I’m sharing a fun farm sensory activity that’s perfect for fall! If you haven’t joined our weekly virtual book club for kids you can join here. You’ll gain access to future book club books, themes, and craft supply lists. Plus you can share your own book themed activities in the group! Is it getting colder outside? 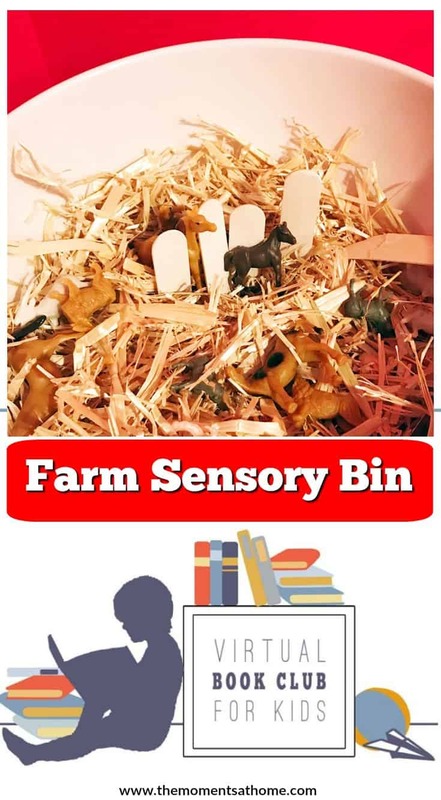 Staying inside can make everyone stir crazy but this fun farm sensory bin will keep little ones busy so you can enjoy a cup of coffee or your favorite book. Putting it together is easy but they may make a bit of a mess with the hay. I swept it up off of our hard wood floors easily after letting my youngest child play. The wooden craft sticks will act as the farm fences in the sensory bin. If you’re going to paint them white do that first and set up the rest of the bin as the paint dries. 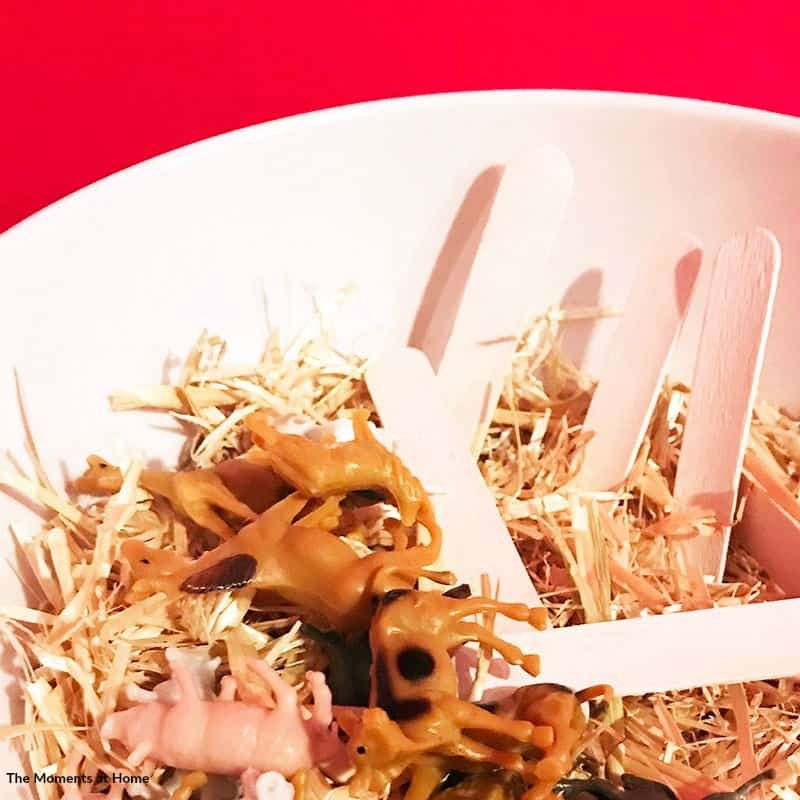 Fill a bowl with straw and add the plastic animals. Once the popsicle sticks are dry break some in half for the fence posts. 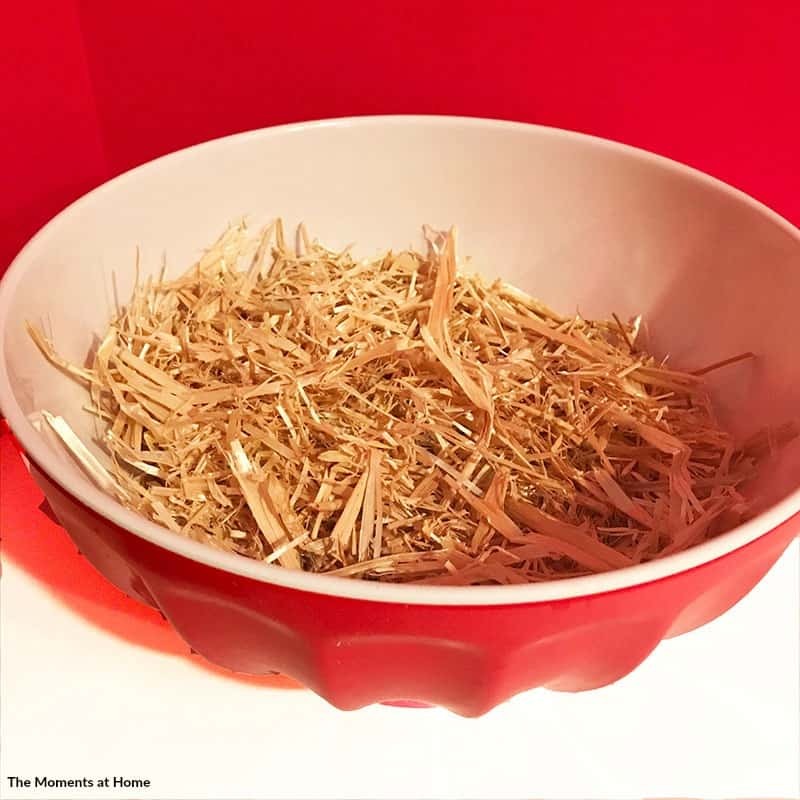 The rest can be used to make enclosures for the animals, for stirring the hay, or for searching for the animals in the hay. Have fun!